The Shaded Ceiling Light Bar Holiday is inspired by an American jazz singer and songwriter Billie Holiday. Nicknamed "Lady Day", Holiday had a seminal influence on jazz and pop singing. 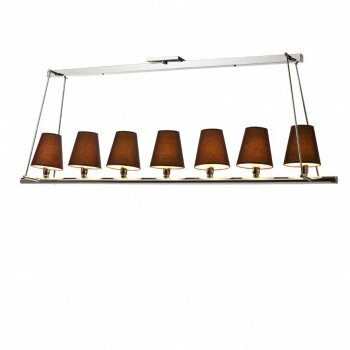 The intelligent contrast of brown shades and stunning nickel finish makes this a contemporary fixed 7 light ceiling bar a striking centrepiece. The nickel detailing lends your room an added tone of luxury, whilst the slimline design ensures it's modern and congruous with your interior. 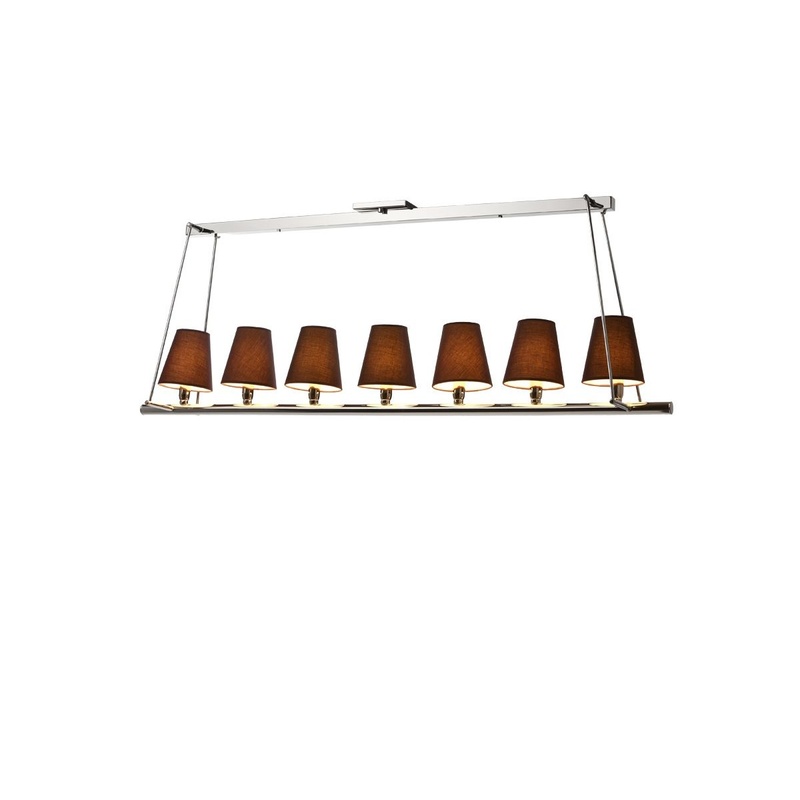 Create that trendy, modern look with this stylish Ceiling Light designed by Villa Lumi. Complete with brown shades it diffuses the light beautifully. Hang it above a dining table for that chic look.